Participation in the Green Building Expo | Aqua-Tech Sales and Marketing Inc. 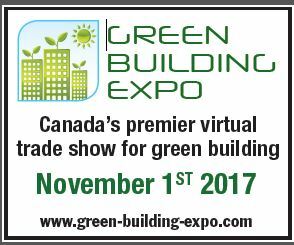 The marketing and sales teams at Aqua-Tech Sales and Marketing Inc. are excited about the company`s participation in the Green Building Expo, Canada`s premier virtual trade show for building green. It is expected to launch on November 1, 2017. So plan your virtual visit and learn about the LOCHINVAR® branded green building products that can help get LEED certification.